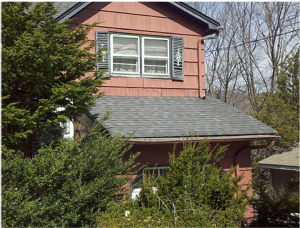 Do you need to sell your New Jersey house in the next few months, or even the next few weeks? We would like to make you a fair all-cash offer on that house. All you have to do is either call us at (973) 910-1443 or fill out the form on this page and we will be in contact with you to further discuss your house. We try and make the process as easy as possible for you, there is no obligation on your part. If you don’t feel comfortable with us then you may move on to other options. Job Transfer making you relocate? When we say we buy houses in any condition, we mean in any condition. Is your roof caving in or is your furniture floating around your basement because your house was flooded? That is okay! You won’t have to fix the roof or replace the hot water heater, we want the property as-is… let us take over the burden of that unwanted property. Leave anything you don’t want behind for us to clean up. You have been trying to sell your house for a while but keep running into problems, even tried using a real estate agent. In today’s market, it’s just reality that not all houses can be sold in the traditional ways. Realtors are great at what they do but it takes time to find buyers, which costs you money. You will also have to clean up and repair the property so it shows well and sign an exclusive contract with the agent for usually between 90 and 180 days. All of this and your house may not even sell. Mean while you are paying mortgage payments, taxes and insurance with each passing month. Why not sell your house now and avoid all of that? Other issues you may run into by selling your property the traditional way include…bank loans falling through, inspections taking forever and turning up issues that will cost you more money and all the while your stress level keeps going up and up. Why even deal with all of the uncertainty and headaches of that problem house when we buy New Jersey houses and can buy your house today? We at Scotty Buys Houses work differently. We will give you a competitive all-cash offer for your New Jersey house in as little as 24 hours of you submitting the short property info form below. On top of a quick cash offer, we can be ready to close in 7 days or when ever you are ready to. Leave the house as-is, we take care of all the repairs. Our cash offers allow us to avoid bank delays and close quickly so you get your money fast.